Anyway, this week I have been getting ready for a show we are going to next week in Las Vegas - Pool Trade Show. It is my first trade show and I'm really nervous! If anyone is going to this show, please stop by and say hello! I've been working on an oh, hello friend wholesale line of goods for the past month so I'm pretty excited to show it at POOL. Nick and I will be working on Valentine's day, not the most romantic thing but I'm just glad we will be together, I love spending time with my husband :) I thought it'd be cool to visit the Pawn Stars shop while we were there but I don't think there will be a whole lot of time to do anything. Has anyone ever been? Well hope you all have a very lovely weekend friends! Usually, I reaaally love you blog. One of my favorites. 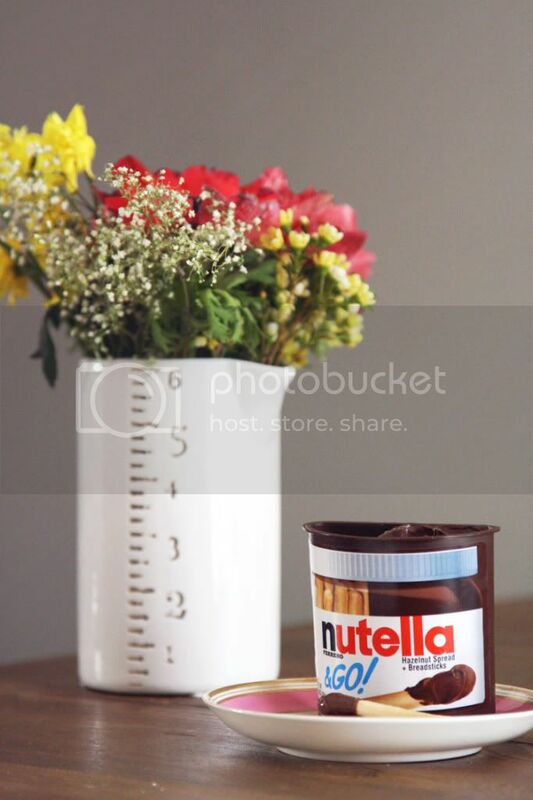 But this post seems like mere advertisement for Nutella. It looks as though Nutella wrote to you and asked you to advertise for them - which is ok, but if you do so, do it transparently. Anyways - have a good weekend! my husband has to be at MAGIC marketplace every year (this is his 6th year w/the company he works for), so he's in Vegas pretty much every Valentine's day. boo! He said he saw the Pawn Stars guys once, though! I bet the line at that pawn shop is crazy-long. Have a great time in Vegas & good luck at the trade show! Good luck at the show - I know you'll be great! 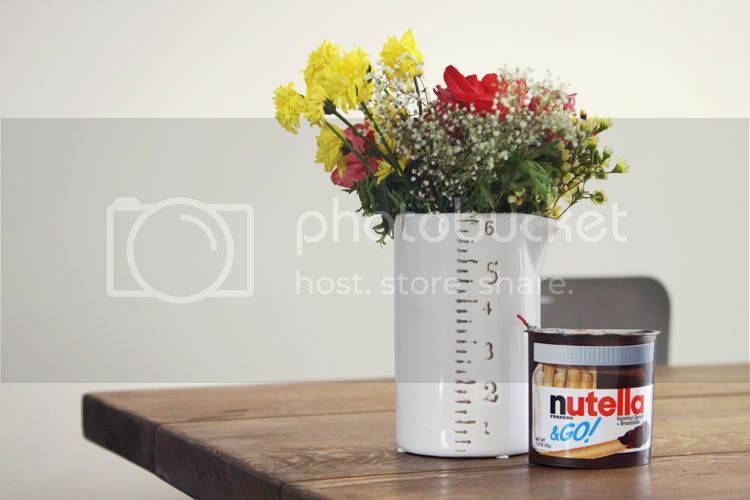 Don't worry, I think any expression of love and adoration for Nutella is completely normal. 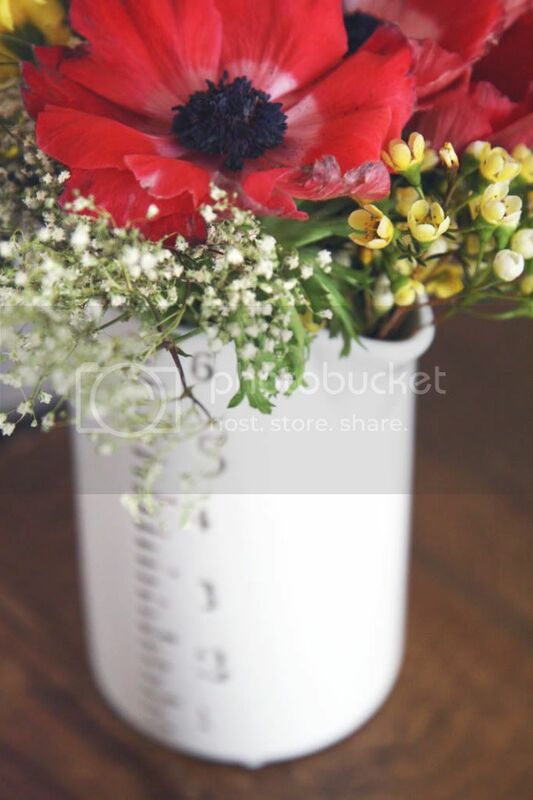 Love this cute 'vase'. Have fun with hubby! beautiful pics! mmm love japanese candies! I've never seen Nutella&GO! and would love to have some! to give to my adult son for Valentine's! @Kleine Wunder überall - Sorry if this came off as a Nutella advertisement, I did not write to Nutella or receive any free products for this post. I paid $1 for this at the grocery store and thought it would be cool to share/take photos of. If I do receive anything and do post about it, I will fully disclose it to my readers. When you do not see any mentions about it, it means I have not been paid or given anything to post about the product. Understand your concern though, thanks for sharing your thoughts! 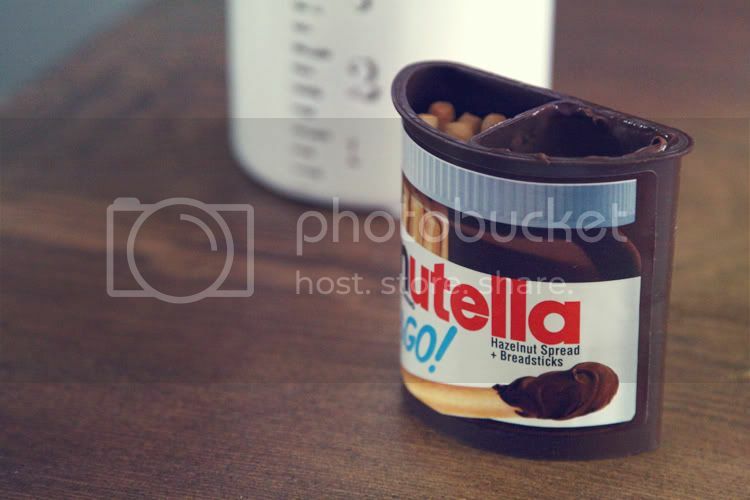 That nutella&GO! reminds me of Dunkaroos! I'll have to look for those Nutella sticks and see if they're in Canada. I've rarely eaten Nutella and don't like it with bread, but this sounds like a way to eat it that I'd like. 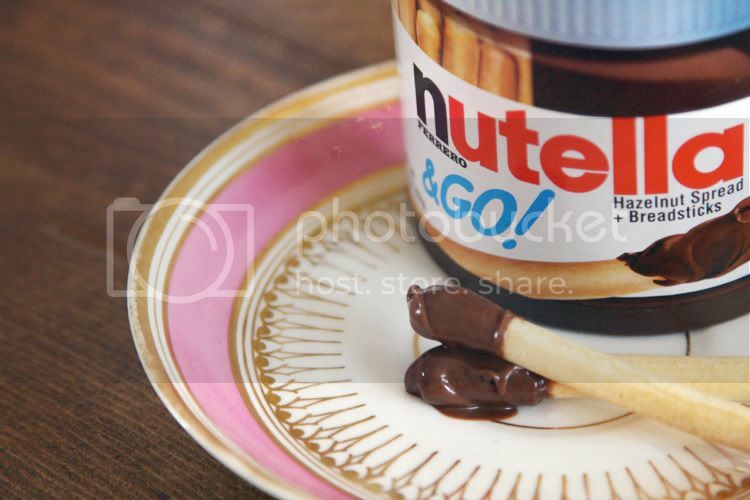 That Nutella & Go looks amazing! I can't buy large containers of it or else I'll eat it all, so this looks perfect. I love Yan Yan! I'm so glad you know what it is! I forgot to mention on your survey that I love your photography. They are always such a treat. Someone already beat me to the punch but this is exactly like an adult Dunkaroo!!!!! I need to buy this immediately...using a spoon is just plain childish. Have so much fun in Sin City! I did NOT need to know about Nutella to go! And being paid to try it/advertise it?? that's the dream huh?! Ohh, I hope you have a blast at the show! I wish I was going this year, but alas it isn't in the cards. I do hope you enjoy Vegas though! For the bad rep it gets, we have a lot of little gems tucked away here. 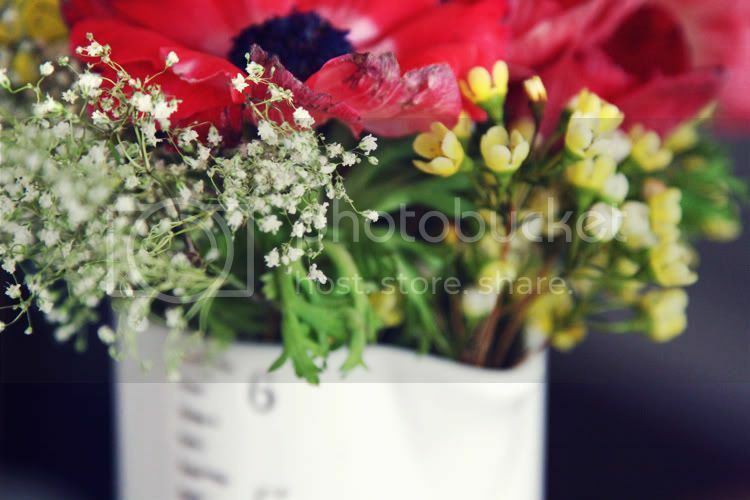 That flower arrangement is beautiful! http://wroscrap.blogspot.com/2012/02/kubeek-inspiracji-oh-hello-friend.html couldn't resist to share it :) thanks for being such a great inspiration! I love nutella to go, and am glad that other people share my obsession. Although I live in Vegas, I have never actually been to the Pawn Stars shop. I know that it is close to Fremont Street. And everyone says it is always busy. I have put it on my list of places to go to. Hope you have a wonderful time here and get some time to experience it! mmm I'm craving chocolate now. I'm trying to look at those pretty flowers instead! I love the vase, too! Happy Friday!